I'm trying to find a piece of art. 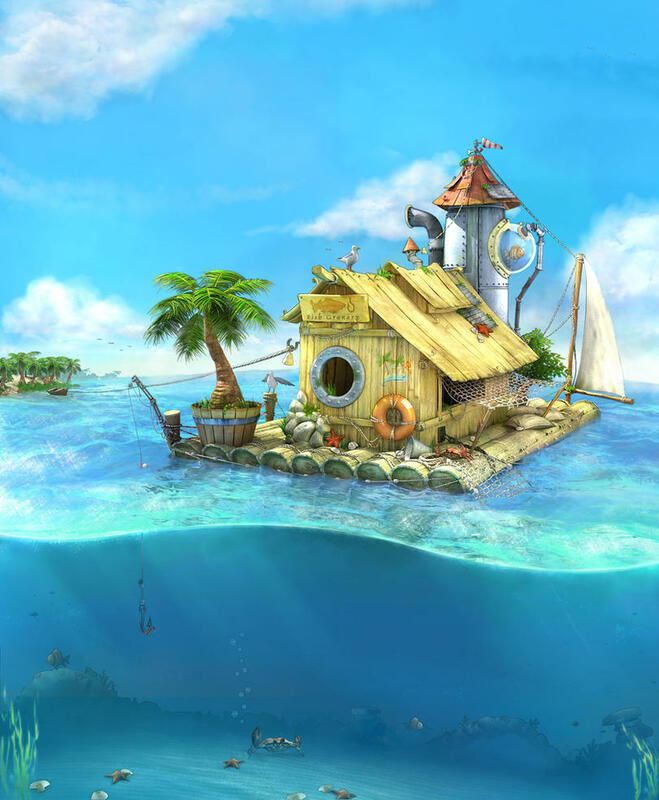 I think it's 3d, it's a house, i think a boathouse but i can't remember and it's sitting in bright blue tropical water, and it's stylized and is just like a little fisherman's hut sitting in the tropical water. I can't seem to find it on google or anywhere. Does anyone know the one i'm talking about? Any help would be really appreciated. Totally sounds like James Coleman's stuff by your description. He's a Disney background guy and "print artist". Not exactly sitting in the water...but that description could cover a lot of possibilities. Thanks, those are awesome regardless, but not the one i'm trying to find. I'll keep looking and will definitely post them up when i find it. Last edited by ArtZealot; June 14th, 2012 at 02:29 PM. Ah! Good deal...glad you found it! Rocks, water, trees and a light house oh my!